this year's tree, originally uploaded by ATLITW. It's time to start thinking about how to decorate Studio Lune, and although we have an abundance of "head room" there isn't a lot of square footage to spare. We're going to have to get creative...yay! 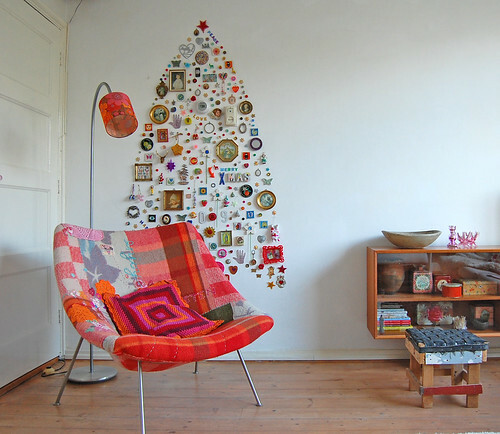 I spotted this trinket tree last year on a ton of blogs. Amazing really. I love how it's shaped similar to a rocket rather than a traditional tree shape. Our version is going to include branches, but is similarly wall affixed, We can't wait to make the studio extra magical for the holidays.